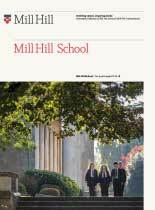 Enterprise Education began at Mill Hill in 2009, when a group of Remove pupils decided to try their hands at becoming young entrepreneurs. In the year that followed, the team made everything from mobile phone covers to personalised hoodies. The pupils took on positions of responsibility, organised their own meetings and even opened a business bank account. Most importantly though, each pupil learned that running a business is not easy, and requires patience and cooperation. Since then, successive groups of Remove pupils have split into competing groups in an Apprentice-style challenge to turn a profit. Projects have included producing a DVD about the school, developing personalised stationery, selling hand-warmers and marketing luxury bottled water. In 2016, the challenge developed still further, with 32 Remove pupils taking on the Young Enterprise Tenner Challenge. The challenge? For each pupil to maximise the profit they make from an initial investment of only £10. The initiative builds upon a successful pilot in 2015, when the group of 6 pupils made a £2000 profit, in one month, from an initial investment on £60. All groups benefit enormously from the experience of their predecessors and along the way learn about the importance of hard work, good organisation, astute accounting skills and adaptability if you want to be successful in business.